Our oceans will have more plastics than fish by 2050 if the ongoing practice of dumping plastics continues, says a report. 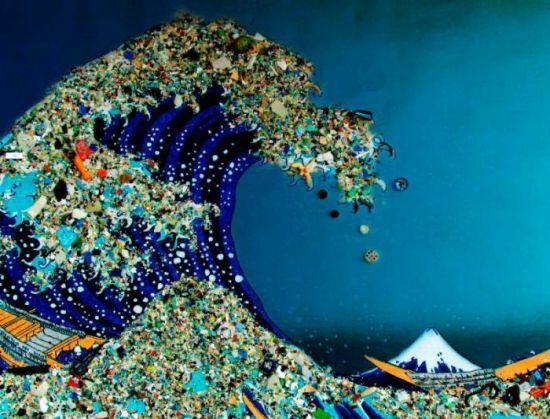 In the report, the World Economic Forum (WEF) has said that every year, at least eight million tonnes of plastics leak into the ocean, which is equivalent to dumping the contents of one garbage truck into the ocean every minute. "If no action is taken, this is expected to increase to two per minute by 2030 and four per minute by 2050," it noted. Citing studies, the WEF report said plastic packaging represents the major share of the leakage and the best available research estimates that there are over 150 million tonnes of plastics in the ocean today. "In a business-as-usual scenario, the ocean is expected to contain one tonne of plastic for every three tonnes of fish by 2025, and by 2050, more plastics than fish (by weight)," it said. The report has been prepared as part of Project MainStream -- a collaboration between the Ellen MacArthur Foundation and the WEF with support from McKinsey & Company. According to the findings, the use of plastics has increased twenty-fold in the past half-century and is expected to double again in the next 20 years. Most plastic packaging is used only once and 95 per cent of the value of plastic packaging material worth USD 80-120 billion annually is lost to the economy, it added. The report has suggested steps for an effective after-use pathways for plastics, drastically reducing leakage of plastics into natural systems, especially oceans, and finding alternatives to crude oil and natural gas as the raw material of plastic production.